From today (2008-03-20) new texts are only published on the english website. If anyone in your team wants to rent skis for slalom or cross country it’s easily done. Both ski shops have slalom skis - from beginners to advanced. 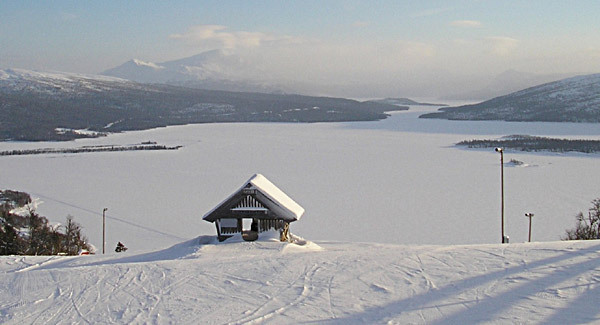 Tärnaby Ski Shop keeps Fischer mostly and Tärnaby Sport keeps Atomic, Blizzard and Salomon – you can have more information from their home site. 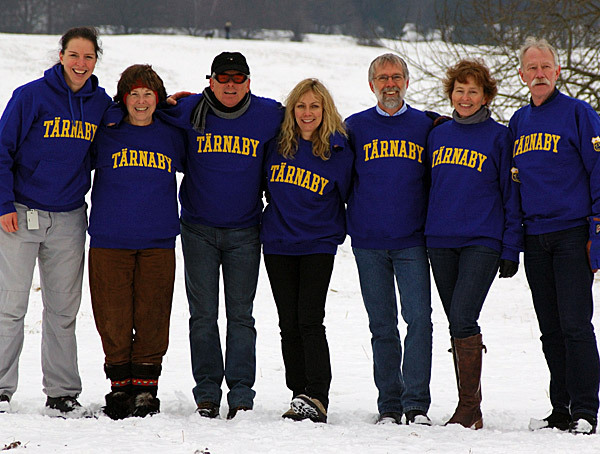 Tärnaby Sport has a wider range of skis for Nordic skiing (cross country – skating and classic). You can also hire crash helmets and shoes for slalom and cross country. Ski service is available at both ski shops. Both ski shops will reduce the ordinary price with 20% when you show your ski pass with the ES-logo. Both ski shops want to know in advance what kind of equipment you want to hire. Please, contact them via the mail addresses and tell them what you want, what kind of skis you want, size of shoes, length of skis, your own weight and length, your name of course, and that you belong to the Eurovision Sports. This information the shop likes to have on the 24th of March at the latest. Since many of you are arriving late on Sunday night and the competitions starts on Monday morning the shop will open at 7.00 am for us - and above that we will arrange a later start for the inspection and competition on Monday morning. Italian reporter Gianni Merlo from Gazzetta dello Sport visiting Jens Byggmarks parents in januari 2007. Italian reporter Gianni Merlo from Gazzetta dello Sport telling Swedish television audience what he wrote in his paper.